Players talk about the latest gloves or the wildest shorts but a piece of equipment that often gets overlooked by laxers is the mouth guard. Coaches will tell you, taking a penalty for not having your mouth guard in when you take the field is the fastest way to the bench. For 2013, all players should make wearing a protective, comfortable and stylish mouth guard a New Year’s resolution. How long as the company been in business? Akervall Technologies was funded already back in 2007. Our first website launched in 2009 where I was sitting at our dining room table, stuffing envelopes hoping to get that big break. (She laughs.) The second website launch, in 2010 was professionally done and had a more medical feel to it. It wasn't until we launched in 2011 with the correct focus on sports that things really started to move. In the summer of 2012 we decided we wanted to rebrand into a SISU Mouth Guards, so there was yet another website launch. And just for the record, next week we are launching another product with its own website. This is called SISU SOVA Night Guard and is a night grinding guard based on the same technology as in the mouth guard. SOVA means sleep in Swedish, our native language. Who are on the research and development and medical teams? Why are mouth guards so important? There are over 5 million sports related dental injuries each year in the USA. During the course of a lifetime of a tooth, the cost can be as high as between $15-20,000, including all visits and procedures. Mouth guards are of course important to protect the teeth from a direct impact that can potentially harm them. Still, studies have shown that using a conventional mouth guard still carries a 35% risk of dental injury. The traditional softer mouth guards have not been able to withstand the impact good enough. The SISU Mouth Guard is non-compressible and hard, instead dispersing the impact over the material to safe zones, protecting the teeth. Why don't athletes like to wear the conventional mouth guard? The most common complaint we hear is that conventional, traditional mouth guards are bulky and hinders breathing as well as speech. This is the beauty of the SISU which is so thin and where you get such a snug fit that there is no need to take the mouth guard in and out. In addition you will be able to breathe, talk and drink. OK – what are the differences between the SISU guard and the conventional mouth guard? 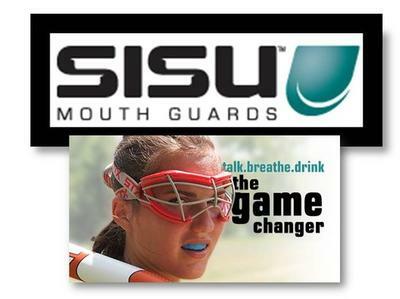 The SISU Mouth Guard is very different from traditional mouth guards in many ways. 1. It’s made from a hard, non-compressible material that doesn't cave in under impact and will prevent the impact to travel to the teeth. Instead the impact is dispersed throughout the material and absorbed with the help of the so called "crumple zones". 2. SISU has perforations that serve several purposes. During fitting of the SISU Mouth Guard, suction is created to get a snug and perfect fit. The perforations allows for this to happen. The perforations also allow the saliva to flow freely during use – this prevents drooling. Lastly, the perforations actually increase the strength of the material by vibrating under impact and transferring the impact out to the safe, "crumple zones". This is similar to the way you for instance build bridges, using perforations to strengthen the construction. 3. Because the material is hard and non-compressible, it can stay thin and still give ultimate protection. This leads to a very thin mouth guard; SISU 1.6 is actually just 1.6 mm thin and is preferred in sports where you are not so likely to take a direct hit to the mouth or where you already are using a cage. SISU 2.4 is 2.4 mm thick and is preferred by, for instance MMA fighters because of the added strength. SISU 1.6 has tested to be about 50% stronger than conventional mouth guards, where SISU 2.4 has tested to be almost 50% stronger. Why are these mouth guards a good fit for lacrosse? SISU Mouth Guards are good for any sport where you need to be able to breathe, communicate and stay hydrated without having to take your mouth guard out. Many athletes have told us how using the SISU really makes a difference in the way the team now can communicate on the field clearly. Of course, the snug fit makes it unnecessary to take it out, eliminating the risk of forgetting to put it back in. It's very comfortable and is not in the way of breathing which of course also is important when it comes to high activity sports like lacrosse. Speaking of fit - are these easy to fit? SISU is easy to fit. There is a brand new fitting video on our site but basically you put the material in a small pot of very warm water (about 130 degrees F) and let it soften. Stand in front of a mirror and pick up the soft material with a fork. Support the ends with your thumbs and bite gently down on the solid middle bar. Then mold the mouth guard to your teeth, mostly on the outside, it doesn't need to wrap around so most of the material goes on the outside. When you have a comfortable, smooth fit, create suction while still pressing on the material until it hardens. How about colors? Today’s player is very fashion conscious. We have 11 different colors in all. All of them in the SISU 1.6, then a little fewer in the kids and SISU 2.4. But they are all fun and bright, but also white and black of course. How can individuals, schools or groups get in contact with you? For more information, please visit http//:www.sisuguard.com, email us at customerservice@sisuguard.com or call us at 800-444-0570. Also, for the athletes with a flair for novelties, we have added a flavor spray to keep your guard tasting great! It's a mint spray where a single puff will stay in the material for at least a week or so (depending on how much you use the guard). When you are ready for more, just give it another puff. Thanks Sassa for the time – I wish you continued success! Join in and write your own page! It's easy to do. How? Simply click here to return to Expert Lacrosse Articles.